For Christmas, my husband completely surprised me with an iPad 4. It's ironic that the man who complains about all of my technology and gadgets would buy me yet another one. He's probably regretting it now. The first thing I knew I needed to do was get a good case for it. I don't let my kids use my iPad, I'm selfish like that, but I did want it to be protected just in case their little hands get on it. But it also needs protection from me and typical use. As soon as I saw The Snugg iPad 4 Case I knew it would be perfect for me. 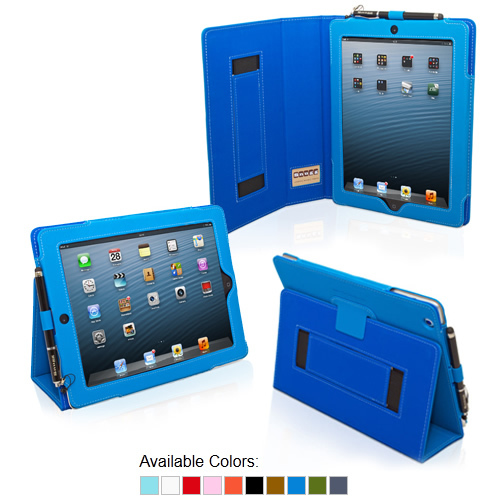 The Snugg iPad 4 Case is available in 10 colors and I chose to go with the Electric Blue because I loved how bright the color is. Although I do wish they made it in purple. Getting my iPad situated in the case was very easy and took only a few seconds. The velcro holds it nice and tight in there and after several weeks of use, my iPad hasn't shifted even a little. It may seem silly, but one of my favorite features is the stylus holder. I tend to misplace things and my 3 year old tends to run off with things, so this feature let me keep my stylus right on my case so I don't lose it. The two-position stand is great for when I'm catching up on my TV shows or even when I need to look at a recipe while cooking. The Snugg iPad 4 case automatically puts your iPad 4 into Sleep mode when the cover is closed and when you open the cover again, your iPad will Wake by itself. Overall, I am extremely pleased with this case and I am glad that I chose it for my iPad. 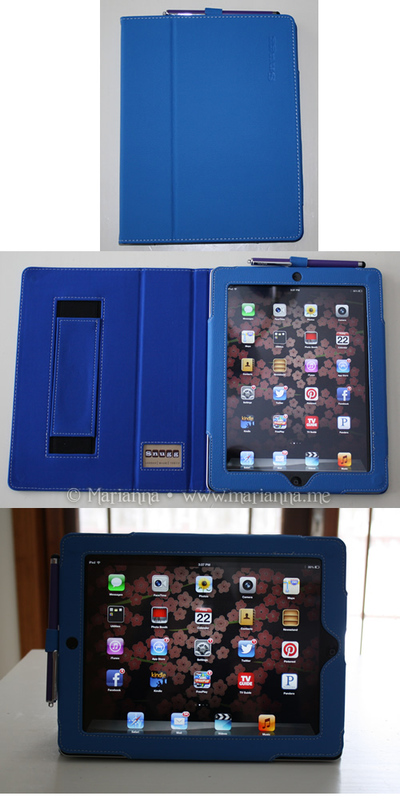 For a very affordable price you get a functional and stylish case to protect your iPad. 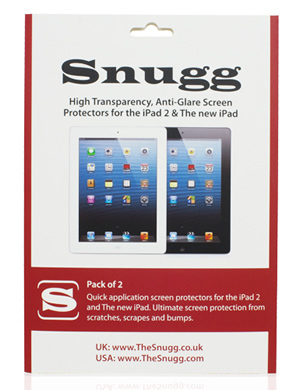 The Snugg iPad 4 Case is available to purchase at www.thesnugg.com or Amazon.com and starts around $34.99. With a case like this, I highly recommend you pick up a screen protector for your iPad screen to prevent it from getting scratched while you use it. These protectors are high transparency so you really barely even notice that they are on. The 2-pack is available for $14.99.